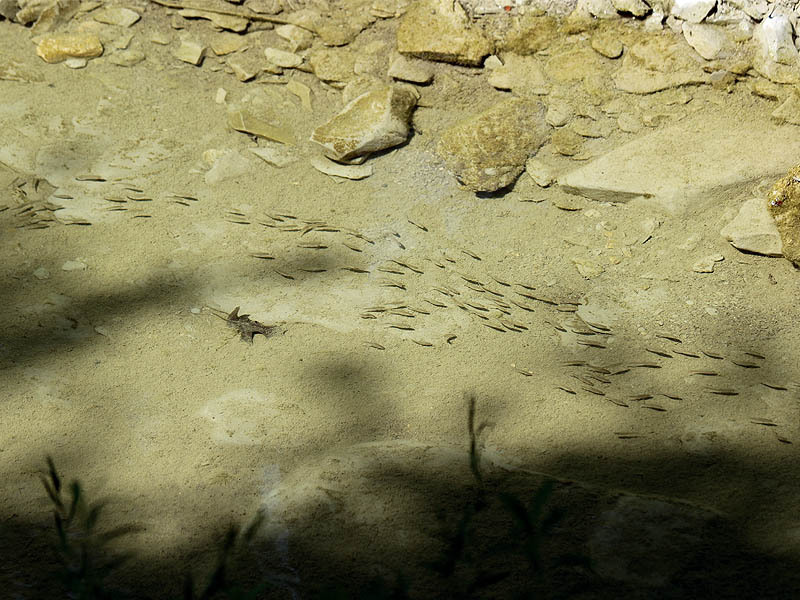 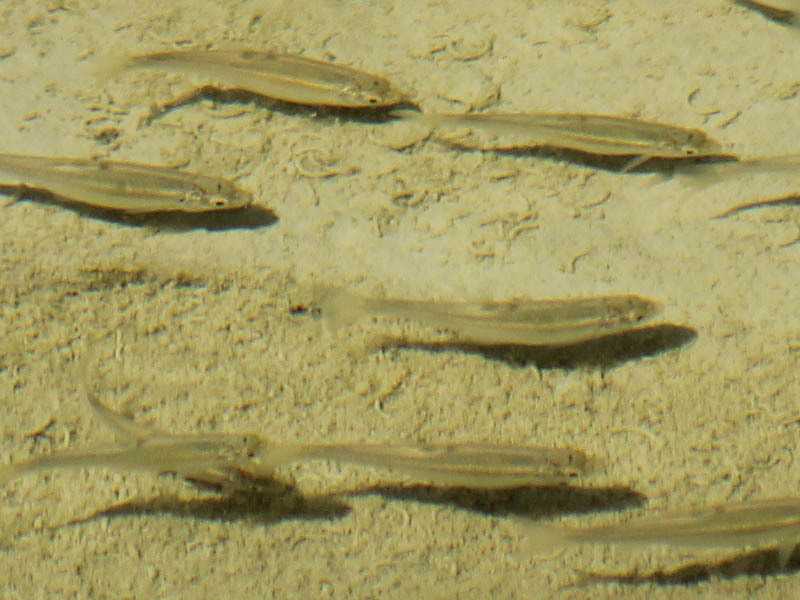 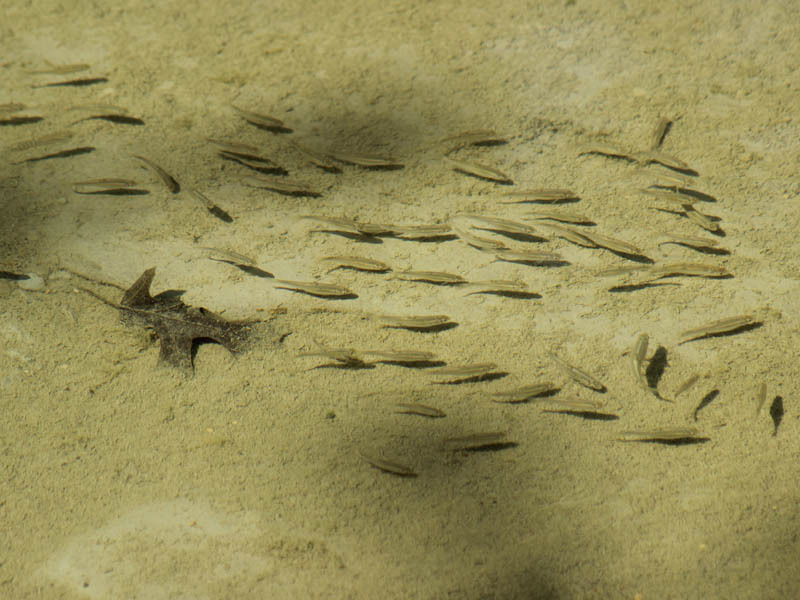 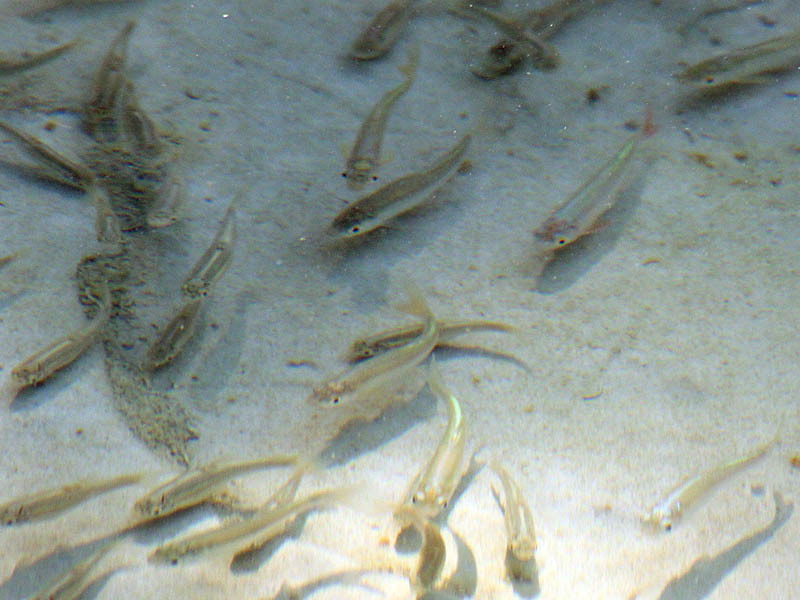 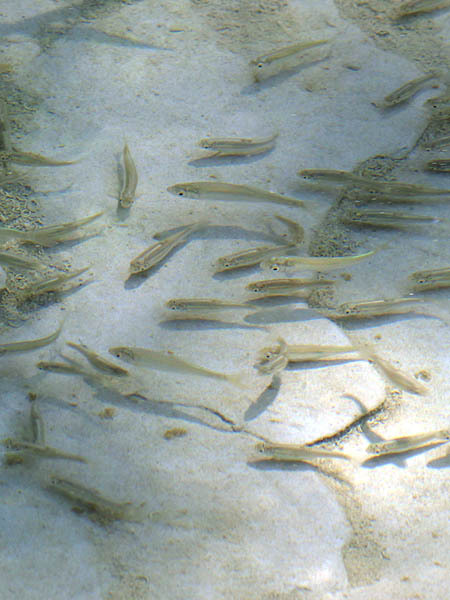 These minnows were photographed in the clear waters of West Rowlett Creek in Frisco, Texas. 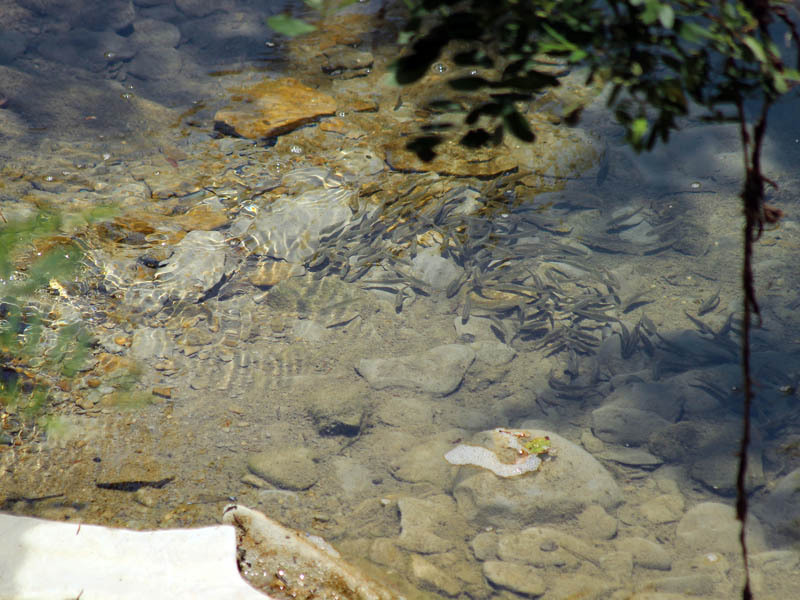 There are a few identifiable male Red Shiners in the mix as evidenced by their red/orange fins. 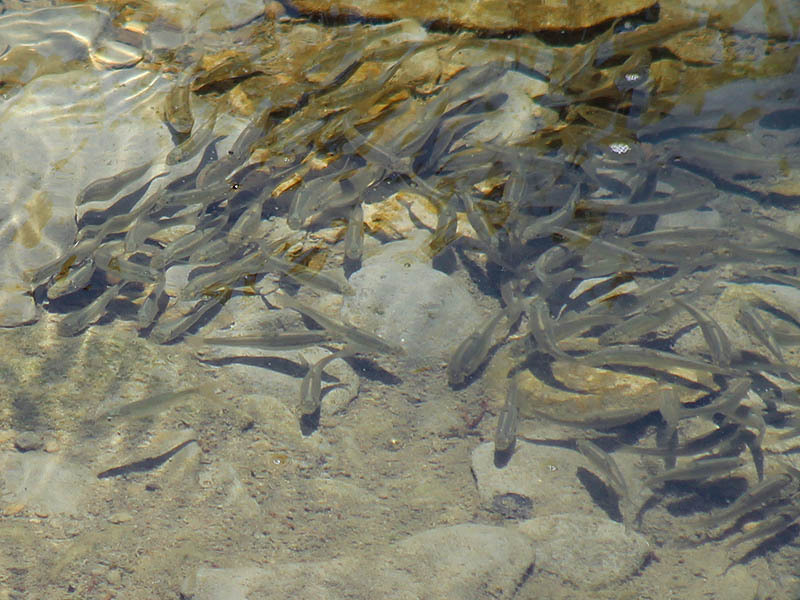 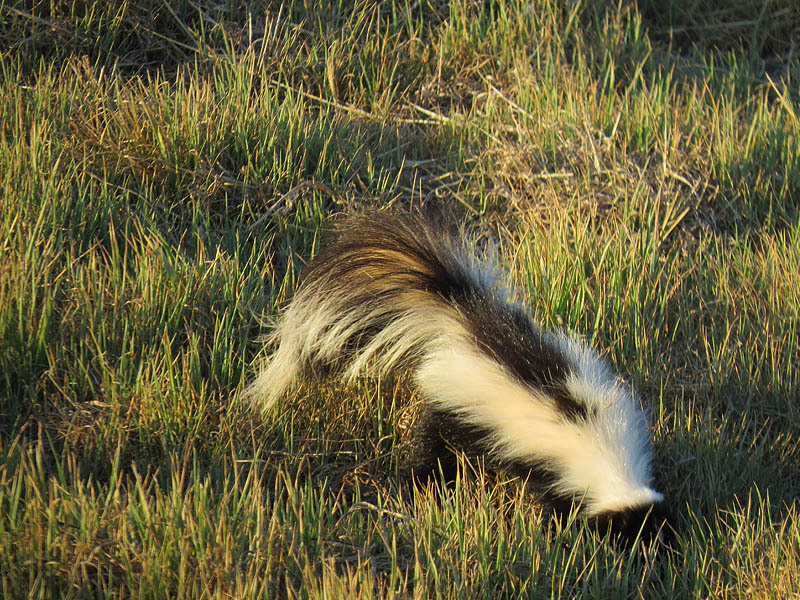 it is likely that the balance of the school is also made up of Red Shiners of various ages as this is the most common type of minnow in our part of North Texas. 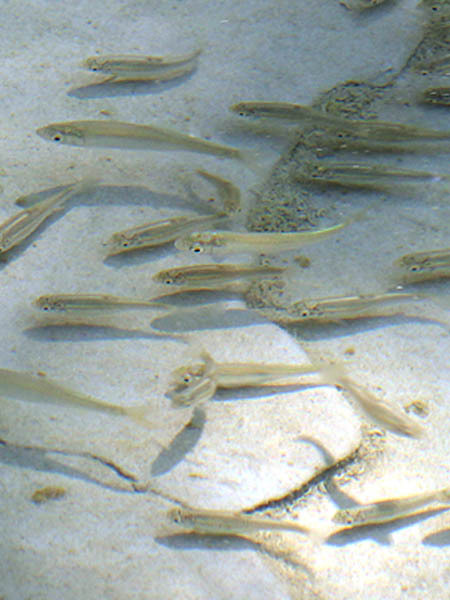 The red/orange fins of the male Red Shiner are noticeable on the minnow in the top right-hand corner of this picture.